Original Source is a brand that I have used for years. They are a brand that packs all their products with real vegan milk extracts, 100% natural fragrance and natural moisturizers which helps in leaving your skin feeling absolutely amazing. They also don't test on animals which is a bonus. Their range of shower washes and gels are always super refreshing and my skin is always left feeling super soft afterwards. When I was in superdrug a couple of weeks ago I spotted these shower milks which are packaged a bit differently to their other products and I just couldn't resist so I bought all four. Oops. If you've read my blog for a while now you will know that I am huge fan of sweet scents so when I spotted these I had to add them to my basket. As you can see from the photo there are four scents that I am just in love with, Cherry and Almond, Lime and Coconut, Green Banana and Bamboo and Sweet Apple and Vanilla. When I first spotted them I thought they would smell really sickly sweet but they don't. Yes they smell sweet but it's a nice fresh scent that just slightly lingers without being too overpowering. The shower milks are all added with skin softening additions which happen to be almond, coconut, bamboo and vanilla. Because these products are milks and not washes or gels they do work wonders on the skin and really do leave it feeling super soft and moisturizing. I suffer from dry skin all over my body so this really does work wonders on them. I think they are perfect if you have dry skin or suffer from eczema as you will really notice a difference in the condition of your skin. Because they are milks I find that they don't foam and lather up as much on the skin as other gels and washes however I find this a minor fault as the milks are still amazing and do the job of leaving you feeling clean, fresh and moisturized. They do not dry out or irritate the skin either which is definitely another bonus when it comes to skincare products. 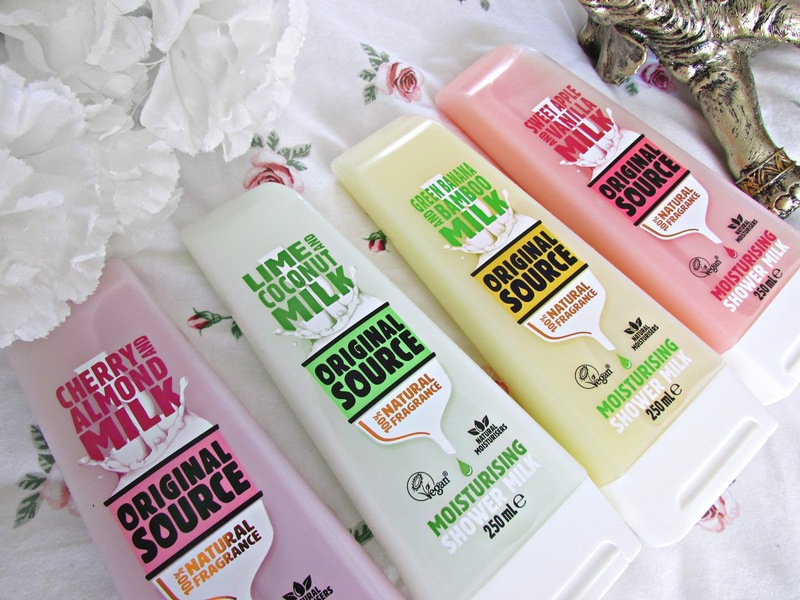 Overall I absolutely love Original Source and this range of super affordable shower milks. Priced at just £1 each from Superdrug you'll really have no excuse to not purchase at least one. My personal favorite from the range at the moment is definitely the sweet apple and vanilla fragrance as not only does it smell absolutely delicious but I find it's the perfect scent for the Autumn months. Click HERE in order to purchase any one of these amazing shower milks. They really are perfect for absolutely everyone! 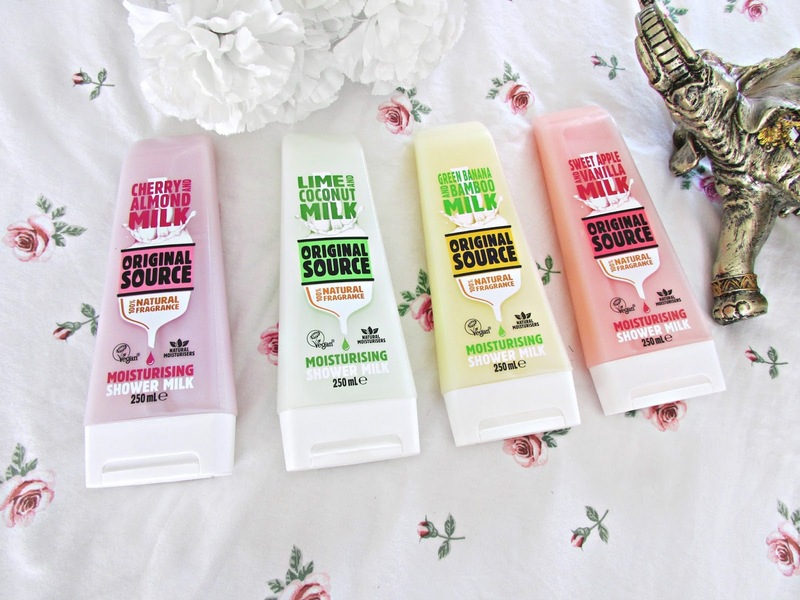 Have you tried these milks from Original Source yet? If, so which scent is your favorite?